HOT Macy's LAST 2018 One Day Sale + Stackable Rebate!! #LastMinuteMacys | Happy Deal - Happy Day! HOT!! 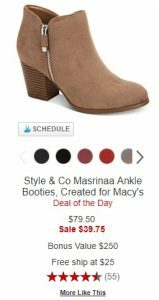 Macy’s LAST 2018 One Day Sale!!!!! SALE ENDS 12/19/18!! 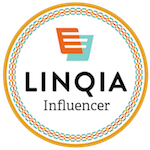 !—————> SHOP HERE!!! PLUS, you can get $10 back on orders of $50+ or $25 back on orders of $100+. The rebate is valid on purchases made through 12/31/18. Get your submission form HERE! You can use this rebate on these already reduced one day sale items!!!! There is also FREE SHIPPING on Orders Over $25+. Some exclusions apply. 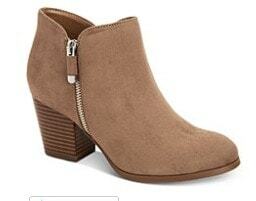 Check out just one sweet deal I found on Style & Co Masrinaa Ankle Booties for just $39.75, normally $79.50! Shipping is free since you are spending over $25. Grab another $10 item so you can submit the rebate to get that $10 back! Now if the sale + rebate wasn’t enough awesomeness, then you can also enter to WIN a $50 Macy’s Gift Card! 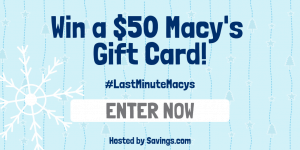 Savings.com has teamed up with Macy’s and is giving away 20 $50 Macy’s gift cards!